Review Saint 52nd Edition is Out! Get a Free Book in Return for a Honest Review! *The Stoned by Mouneer Soulaiman. Price: Free. Genre: Psychological Fiction, Sponsor, A Story of a one man’s Struggle to be a better person set against the Barbarity of the Syrian Crisis. Rated: 5 stars on 1 Reviews. 261 pages. ASIN: B07NPTTYFJ. Please Note: If you liked this book, please leave a review on the book’s page here. Thank you! Author ReviewSaint - Free Books in Return for ReviewsPosted on March 21, 2019 Tags literary book for review, literary book to reviewLeave a comment on Review Saint 52nd Edition is Out! Get a Free Book in Return for a Honest Review! Free in Return for a Honest Review! Get ‘The Quandity’ Free Between December 16th to 20th! Review Saint 46th Edition is Out! Get a Free Book in Return for a Honest Review! *The Quadity by Jacob Pfeiffer. Price: Free. Genre: Literary Fiction Book of the Day, Sponsor, Metaphysical, Inspirational, Metaphysical & Visionary. Rated: 4.9 stars on 30 Reviews. 104 pages. ASIN: B01MZEAI53. Please be sure to leave a review on the book’s page on Amazon after reading. Author ReviewSaint - Free Books in Return for ReviewsPosted on January 18, 2019 Leave a comment on Free in Return for a Honest Review! Get ‘The Quandity’ Free Between December 16th to 20th! Review Saint 25th Edition is Out! Get Free a Book in Return for a Honest Review! 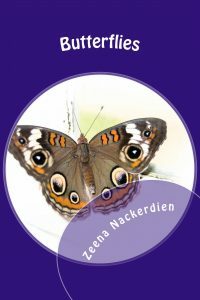 *Butterflies (PDF) by Zeena Nackerdien. Price is: Free. Genres are: Women’s Fiction Book of the Day, Sponsor, Literature. 26 pages. Please Note: This Book is free in return for a Review. Author has made this book free with the hope that if you like the book you will review it. If you have zero intention to review the book please don’t download it. Thank you. Free Chic Lit Book in Return for Review! Please Note: Author is offering files only for readers who agree to review it. And only for ReviewSt readers and Books Butterfly readers. Please do not share this file on any other site. That threatens the author’s livelihood. We don’t have millionaire authors. They are every day people like you and us. You are welcome to direct your friends and family to the ReviewSt blogs or to the reviewst.com sign up site (www.reviewst.com). Get a Free Humorous Book in Return for a Review! *Free Lunch in New York City by Matthias Drawe. Price: Free. Genre: Literary Humor Book of the Day, Sponsor. Rated: 4.4 stars on 19 Reviews. 256 pages. ASIN: B01M4S9IGF. Synopsis: The young filmmaker Hardy von Hachenstein has set up shop in New York. He longs put his screenplay into the hands of legendary producer Floyd Burns, but this harder than getting a date with the Queen of England. Author KibetPosted on September 4, 2017 Leave a comment on Get a Free Humorous Book in Return for a Review! Get a Deeply Philosophical Literary Fiction Book in Return for a Honest Review! *Matter of Life and Death, PDF Version by Brian Tate. Genres are: Political Science, Philosophy. Price is: Free in Return for a Honest Review. Author KibetPosted on June 4, 2017 2 Comments on Get a Deeply Philosophical Literary Fiction Book in Return for a Honest Review! 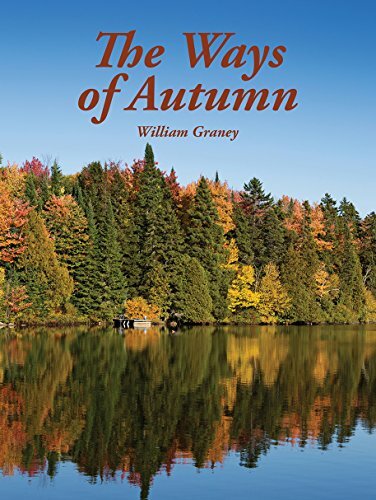 *The Ways of Autumn by William Graney. Price: Free For Kindle Unlimited. Genre: Sagas, Contemporary Fiction, Sponsor, Family Saga. Rated: 5 stars on 1 Reviews. 337 pages. ASIN: B06ZXZ9XH9. IF you like this book, Please leave a Review on the Kindle Store! The misty sea spray caressing Catherine’s face portends the unclear path ahead as she contemplates the beginning of her new life in California. Her ten-year journey will include a new relationship, a trek to the highest summit in the contiguous United States, and a poignant hospice experience that will challenge her to rise from the ashes of despair. Mervyn vs. Dennis (mobi) by Niels Saunders. Genre: Dark Comedy, Satire, General Humor. Rated: 4.6 stars on 7 Reviews. 253 pages. ASIN: B01I1TAID0. Please leave your reviews at Amazon Kindle Store if possible. Welcome to My ReviewSt Website Sites. This is your first post. Edit or delete it, then start blogging! Author ReviewSaint - Free Books in Return for ReviewsPosted on May 16, 2016 Leave a comment on Hello world! Kibet on Get a Deeply Philosophical Literary Fiction Book in Return for a Honest Review! Natalie Wood on Get a Deeply Philosophical Literary Fiction Book in Return for a Honest Review!